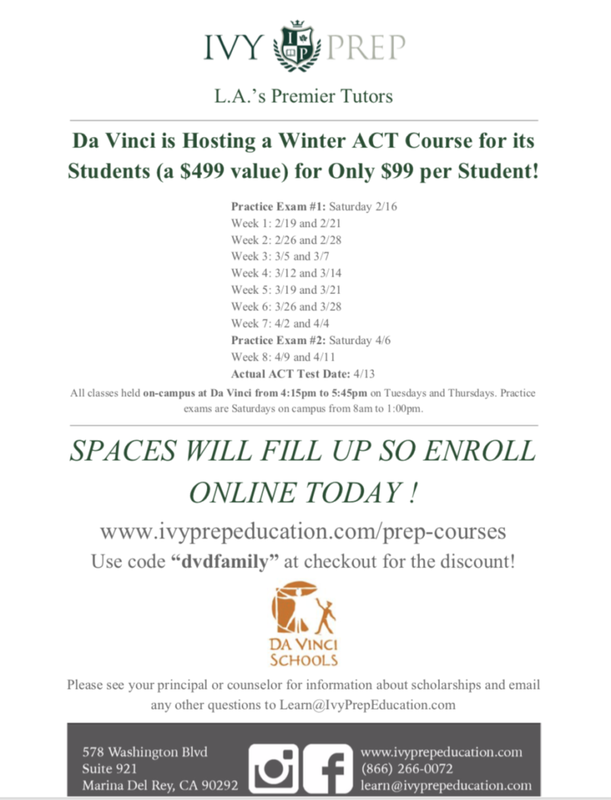 ACT Prep Class through Ivy Prep will be offered for just $99 this semester! The course begins on Saturday 2/16 with a practice exam, and runs through 4/11 to prepare students for the April 13. ACT Test date. SIGN UP HERE using the code “dvdfamily” for the $99 rate. Fee waivers available! See your counselor.